Every animal alive today will die eventually, but not every dead animal will become a fossil. 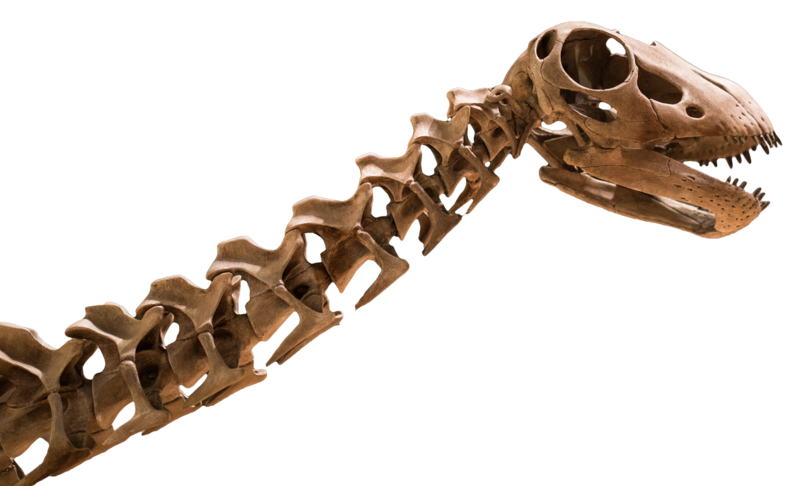 Animals that lack a hard skeleton of bone or shell are unlikely to be fossilized. So if you want to be a fossil, the first step is to make sure that you have a hard skeleton. Jellyfish need not apply (usually). This turns out to be the easy part of becoming a fossil. But you can’t just die anywhere. You have to die in a place where you can be buried quickly by sand and mud. Good places for this to happen include rivers, lakes and seas. Whatever you do, don’t die on land, far from water. Why is burial so important? There are plenty of ways to fail at becoming a fossil, and most of them happen before burial. A scavenging animal could eat you. Waves and currents could scatter your remains. Other animals could bore or dissolve their way into your skeleton to make a home. All of these things are less likely to happen if you are buried quickly beneath a layer or sand or mud. As the sand and mud builds up above you, eventually the layer you are in hardens to rock. You (or what’s left of you) made it – you’re a fossil! It’s no fun being a fossil if you aren’t discovered and studied. Hopefully the rock layer that you are in will be in a place where a paleontologist can find you. Someone breaks you out of the rock. Paleontologists write research articles about you. You get a major role in a museum exhibit. You’ve hit the Big Time, and it only took you millions of years.